It will be a news program. 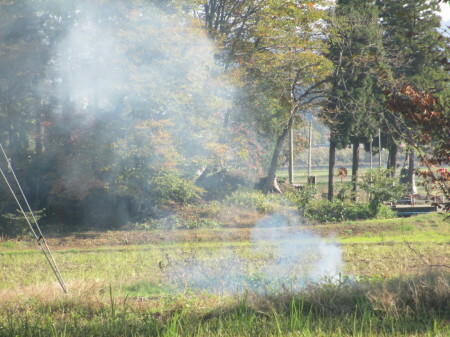 The farmer 's name is burnt stump at paddy field. and the women burn the stumps shortly thereafter. The flames that were licking at the feet spread out in sight. Go away soon, a woman pointing here and laughing. to the feet of photographers who are shooting. He was about to become a grilled photographer. It was a great thing that the screen did not shake. in the middle of the baked rice field was made. Colorful toppings are also given. It will be like a god who appreciates good harvest. It seems that everyone eats from this.